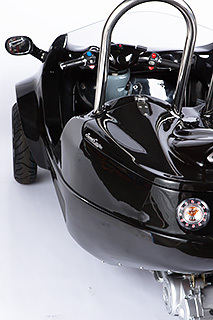 Panther Motors was born in Deerfield Beach, Florida in 2004 with the vision of creating the world’s finest three wheeled, side by side scooters. We pioneered our side by side motorcycle reverse trike design into a viable and reliable product, becoming the first A merican manufacturer to bring the concept to market. Over 12 years years later, our success has inspired other manufacturers to apply our concept into larger displacement vehicles but our P50 and P150 ScootCoupe remain the only low displacement side by side motorcycles available in America today. Designed for commercial use, our initial product, the P49 ScootCoupe, became a sensation with rental companies and personal users due to its reliability and style. Over the years our product has evolved into the market leader in its class. As always, the commercial grade construction of the P50 and P150 set the mark for quality and reliability in the three wheel market. Our experienced design and product support team puts us miles ahead of the competition, and we remain committed to delivering the finest products and customer service in the industry. While we originally built the ScootCoupes for the tourism rental market, our products have been embraced by families throughout America for local and recreational use. We hope you enjoy our site and our products and welcome you to contact us with any suggestions in making our products more suitable for your needs. Panther Motors… we build memories. And Yes, It’s Still Made In America. Mr. Livoti founded a company known as Fun Rentals in 1991, opening and operating scooter rental shops in resort towns in Florida. Over the years, he recognized the need to build a stable, reliable three wheel scooter which could accommodate two passengers side by side. 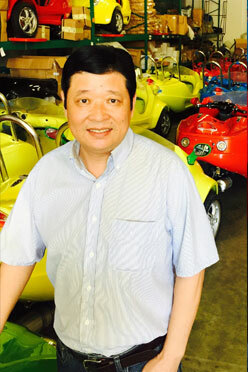 He prototyped the first generation ScootCoupe along with co-founder Jerry Liu in 2003. The first generation ScootCoupe was released in 2005 and was immediately embraced by others in the rental industry. 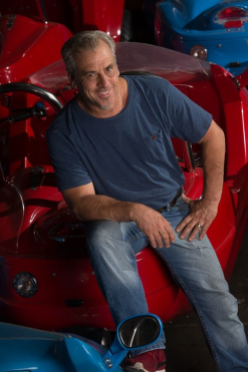 Mr. Livoti and Panther Motors remain committed to building the finest three wheel scooters, continually enhancing the design and functions of the products. His mission is to continually exceed the expectations of his customers. Mr. Livoti oversees the daily operations of the company, interacting with clients and developing the ScootCoupe distribution network. Mr Liu utilizes his engineering and manufacturing skills designing and constructing core components. His vast experience is evident in the quality of our final products. Mr Liu is the Production Director at Panther Motors, overseeing the design and construction of every component assembled at our US facility. His rigid design and quality control standards ensure your ScootCoupe will be flawless. Mr Liu is committed to constructing the finest product on the market today and in the future.